The ExcelCare HC-840 is a toilet and shower wheelchair that makes grooming and showering comfortable. 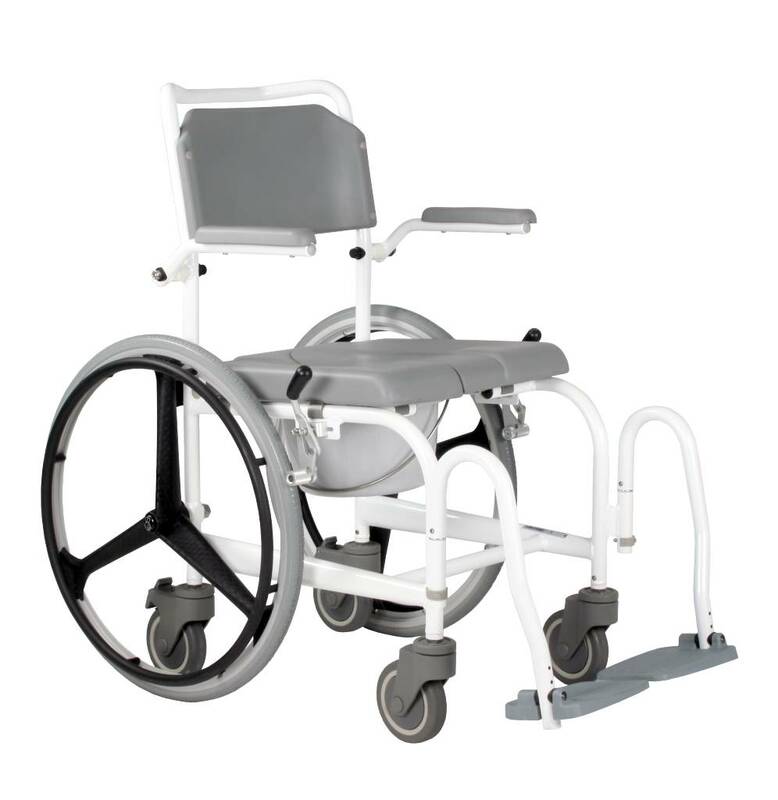 The Excel Care HC-840 can be used as a shower and toilet chair, which can be driven over the toilet. 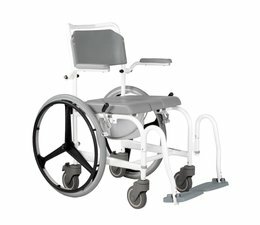 The many features and functional design of the Excel Care HC-840 make the chair an attractive and user-friendly product. With neutral colors Excel Care HC-840 fits easily into any bathroom. The Excel Care HC-840 can be used as self-propelled and as duwdouchestoel. In addition, the wheelchair equipped with quick relaese plastic 24 inch wheels with carbon fiber look. The seat is provided with a recess which makes possible optimal hygiene care. Also, clean the material of the seat and back well and it is anti-allergenic. The folding armrest of the Excel Care HC-840 make lateral transfer and care possible. The leg supports are swing away and height adjustable. The Excel Care HC-840 is equipped with a pot with lid and chock hygiene recess. Product complies with crash test EN 12184.